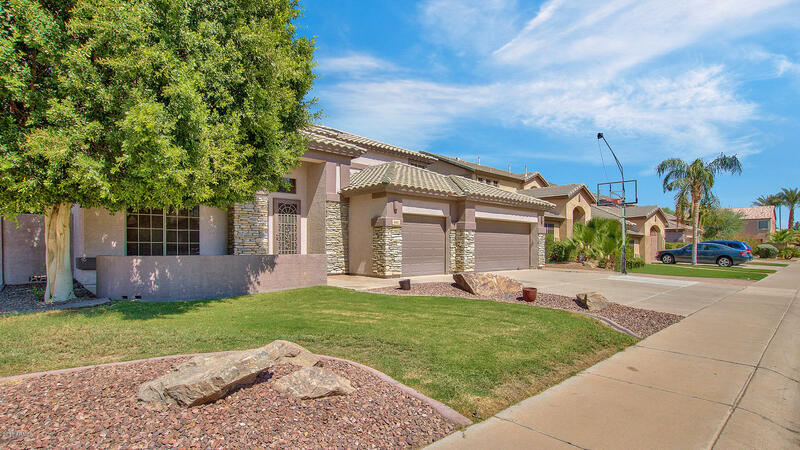 What an amazing value in Lindsay Estates! 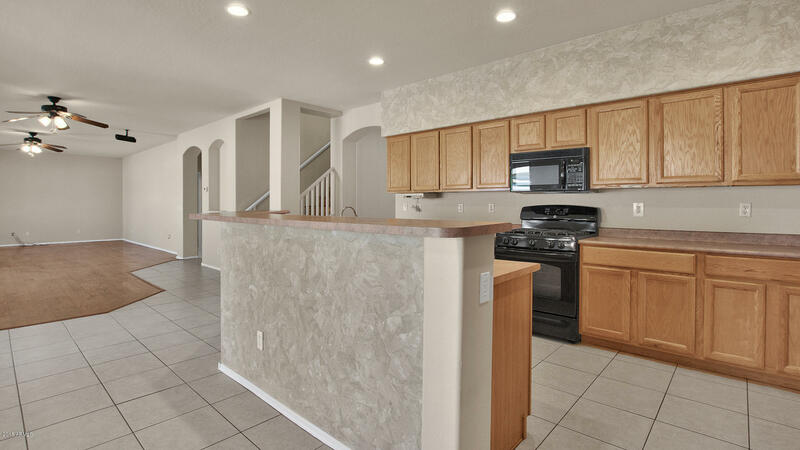 This gorgeous home shows pride of ownership and the following features... 5 bedrooms, 3 bathrooms, 3 car garage, almost 3400 sq ft, neutral two tone paint, gorgeous hardwood flooring and tile throughout the home, open eat-in kitchen with breakfast bar/island, upgraded fans/lighting, window coverings, surround sound, washer, dryer and refrigerator included, spacious master bedroom with hardwood flooring, dual vanities and separate shower/tub in the master bathroom. 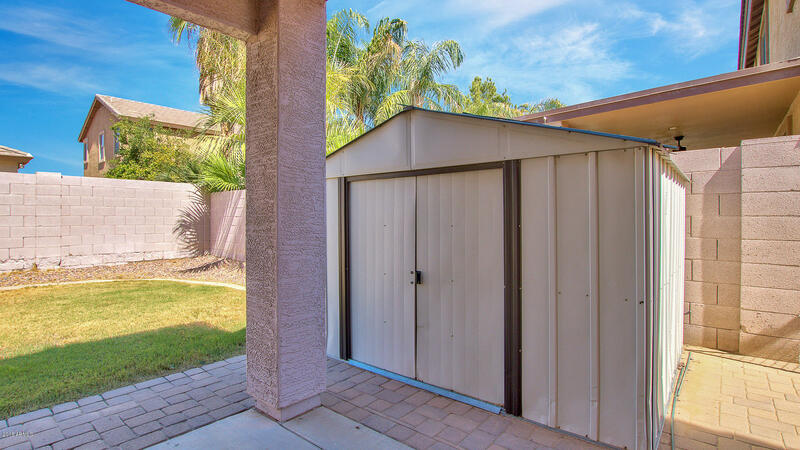 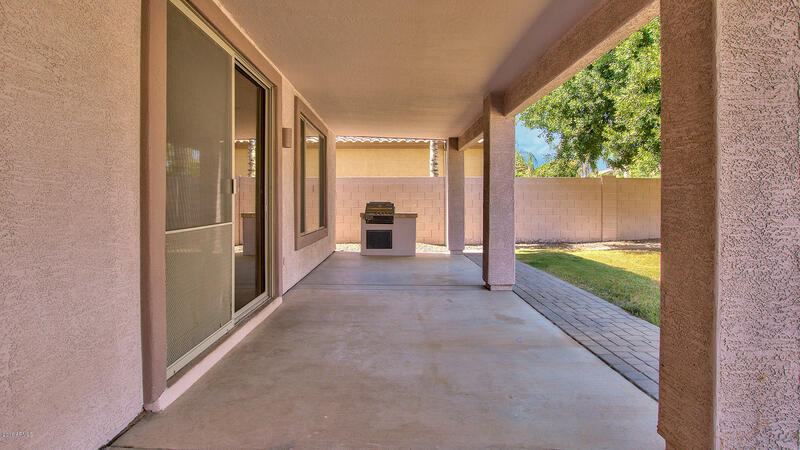 The backyard has a covered patio that runs the width of the home, mature front and backyard landscaping with grass. 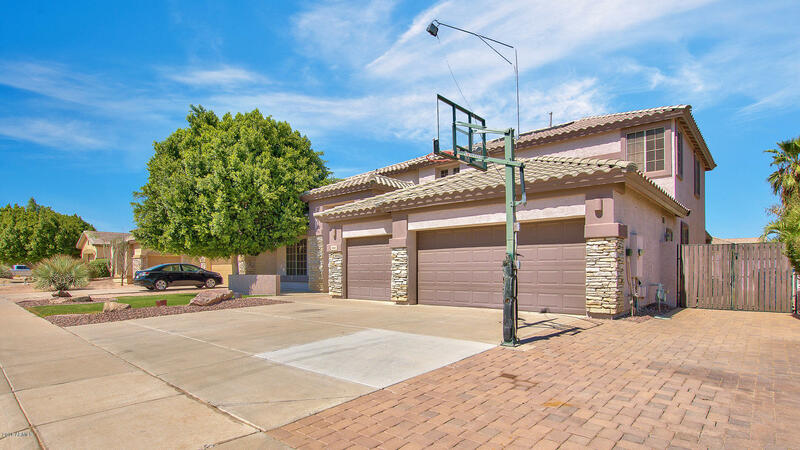 The front yard includes a sport court an expanded/paver driveway with an RV gate. 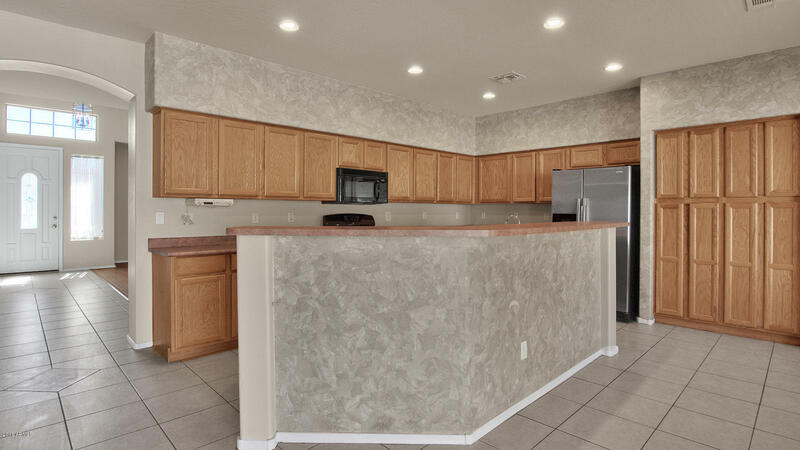 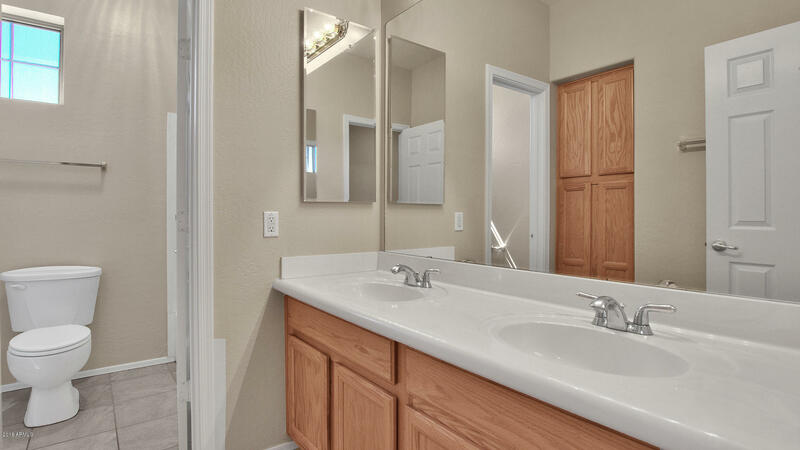 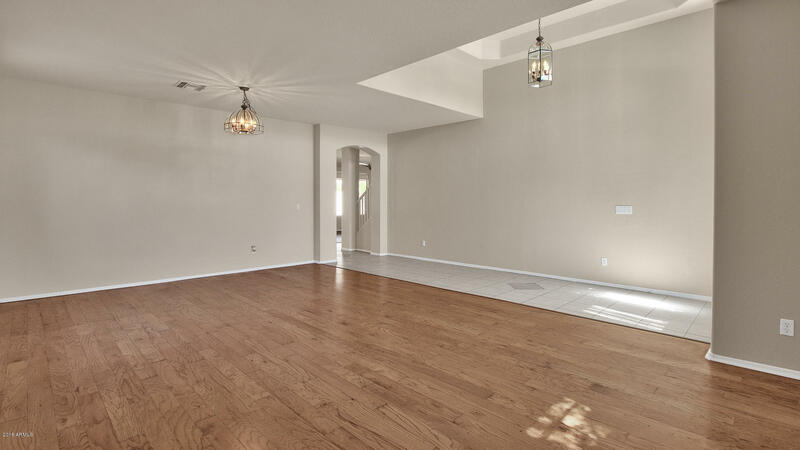 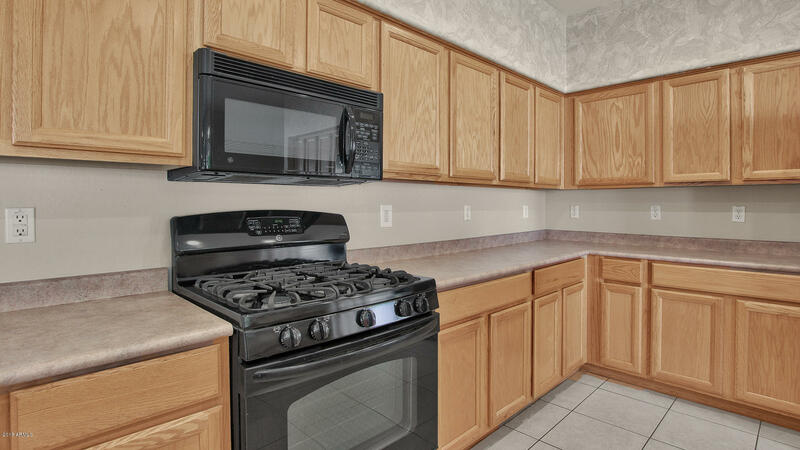 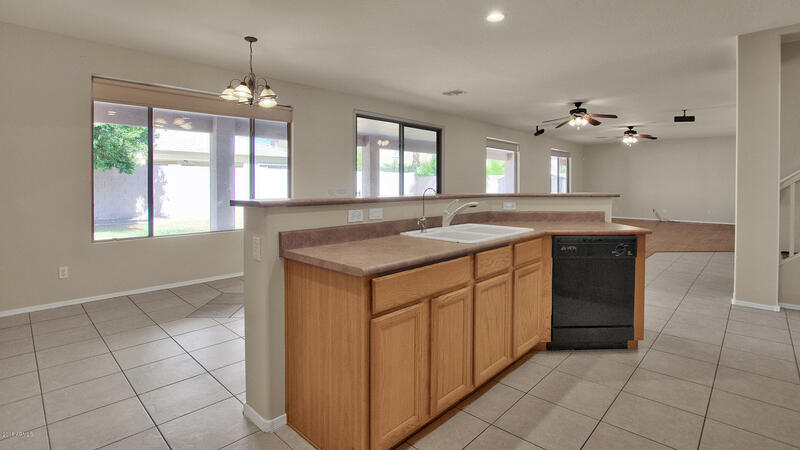 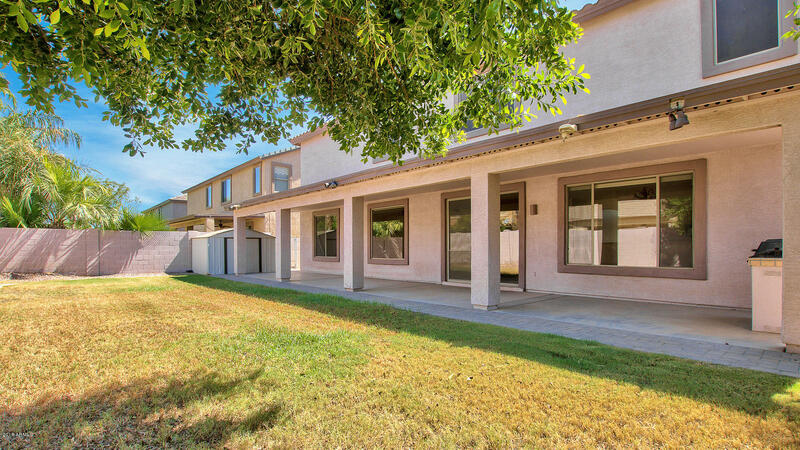 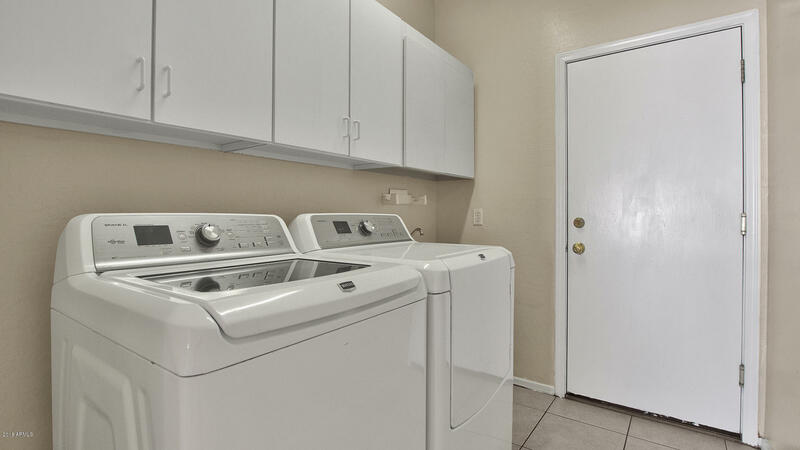 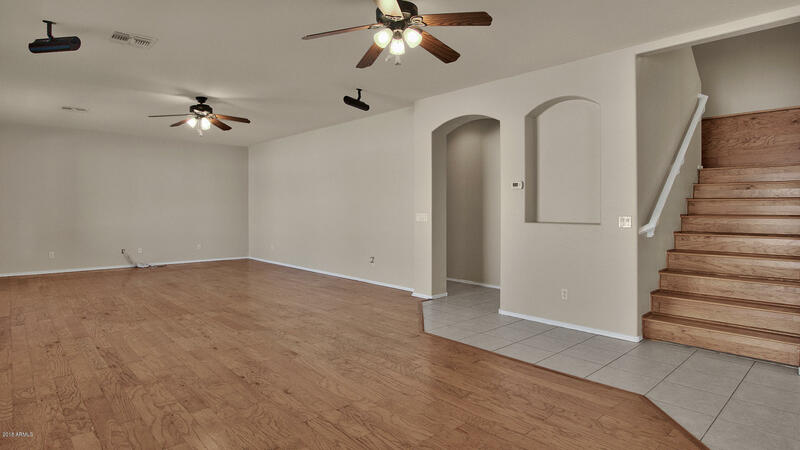 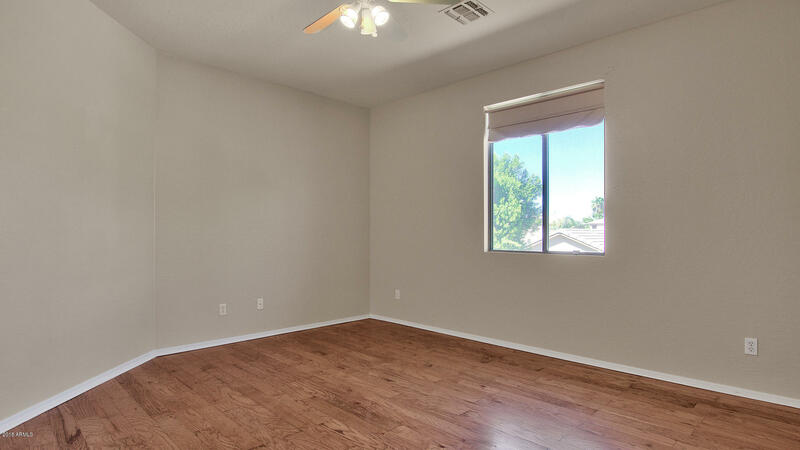 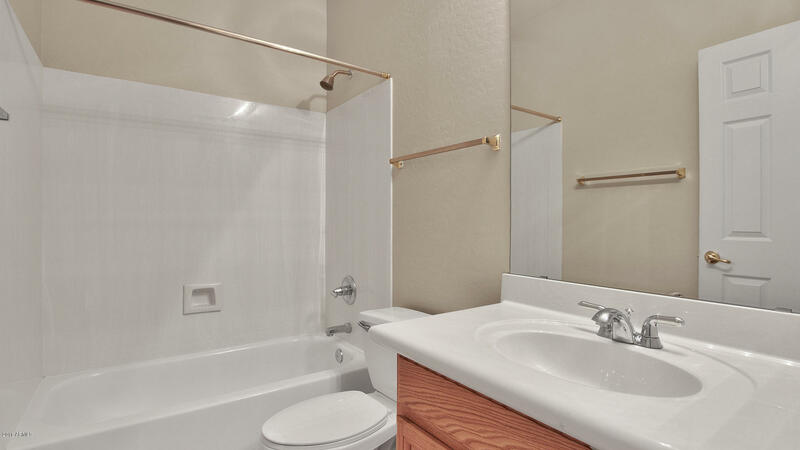 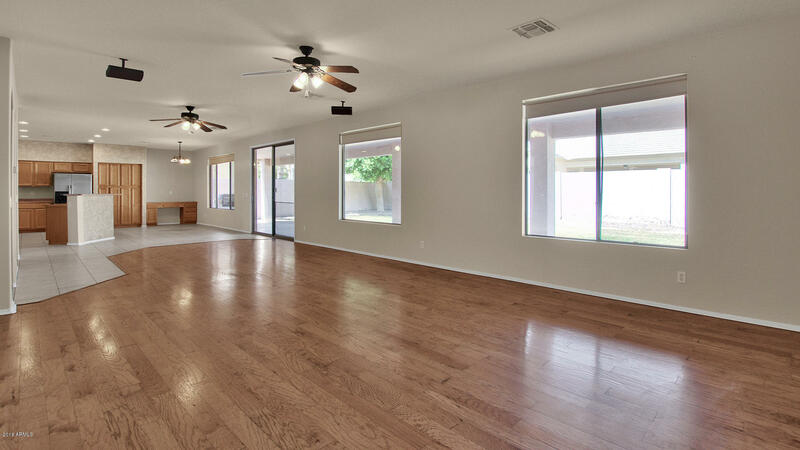 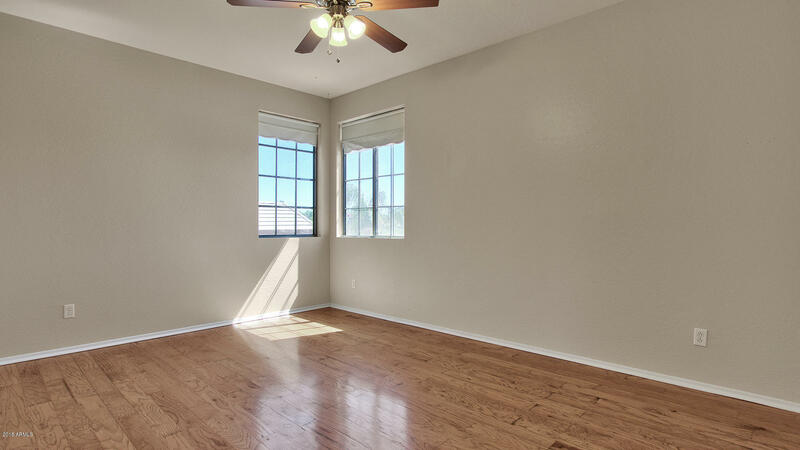 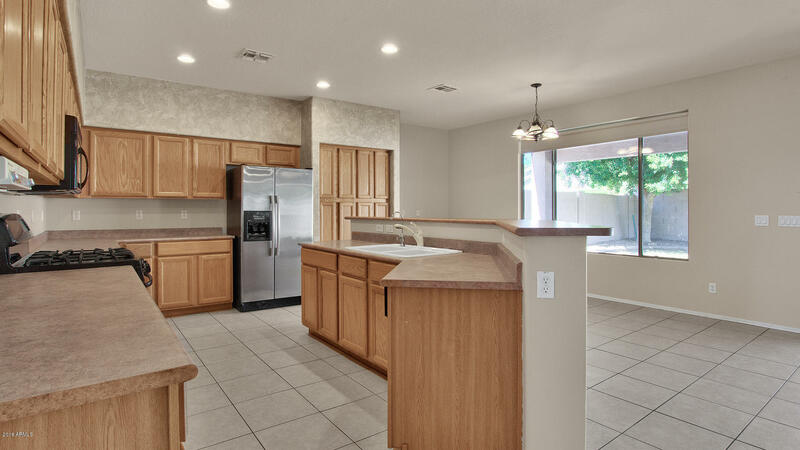 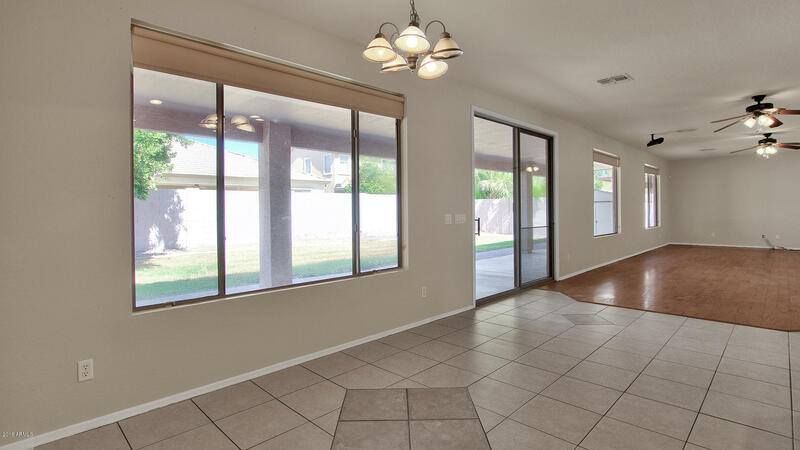 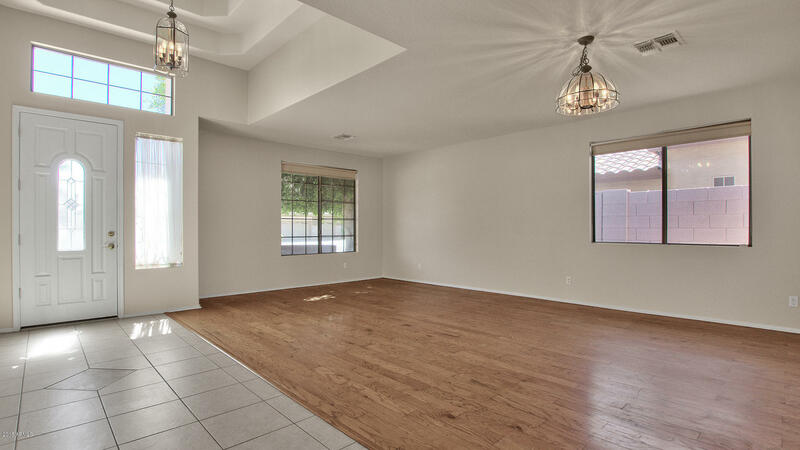 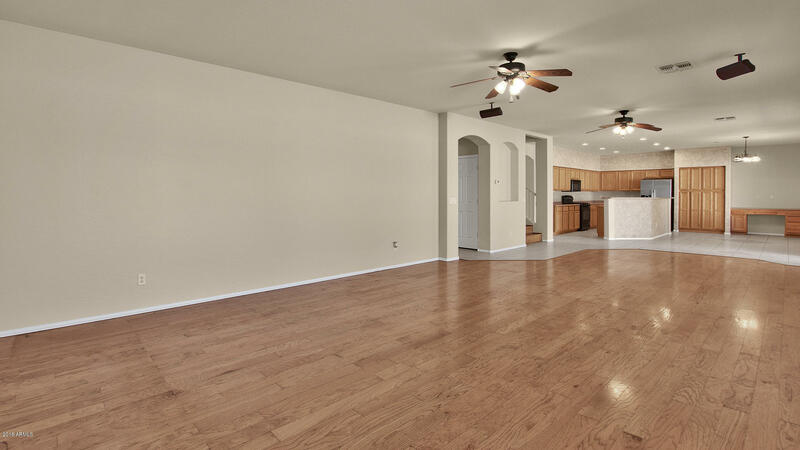 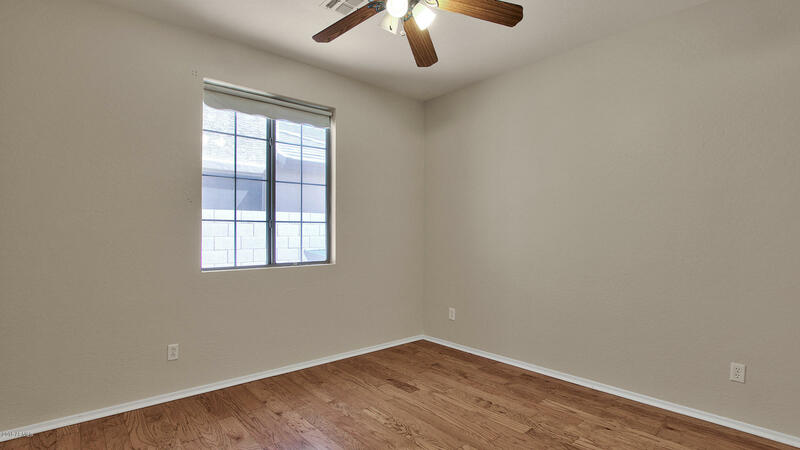 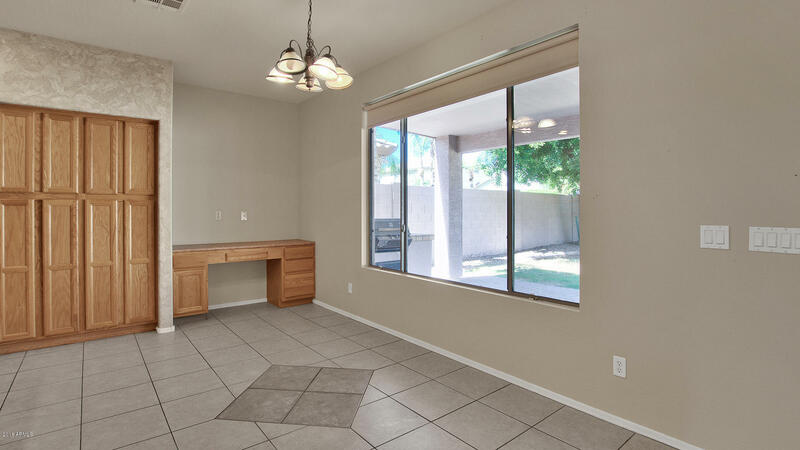 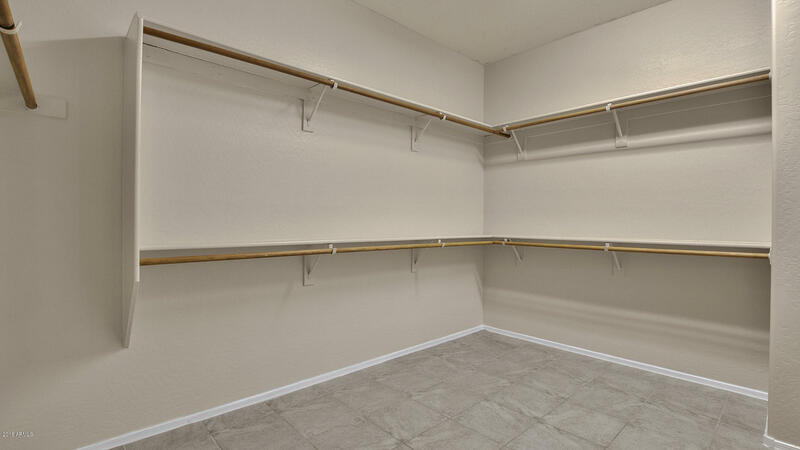 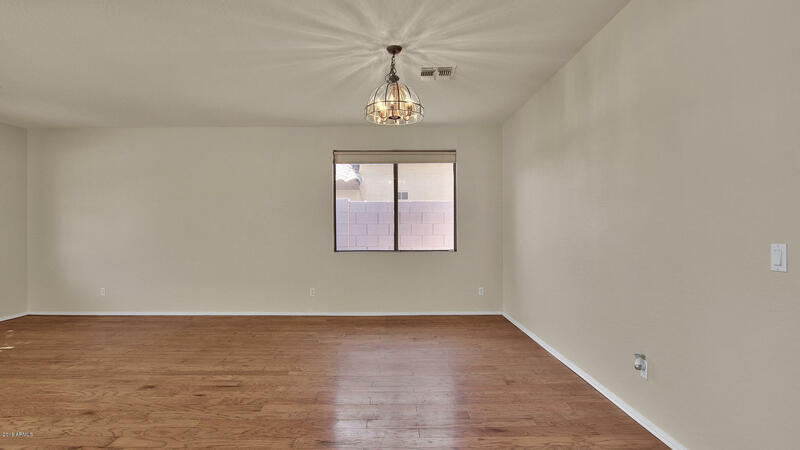 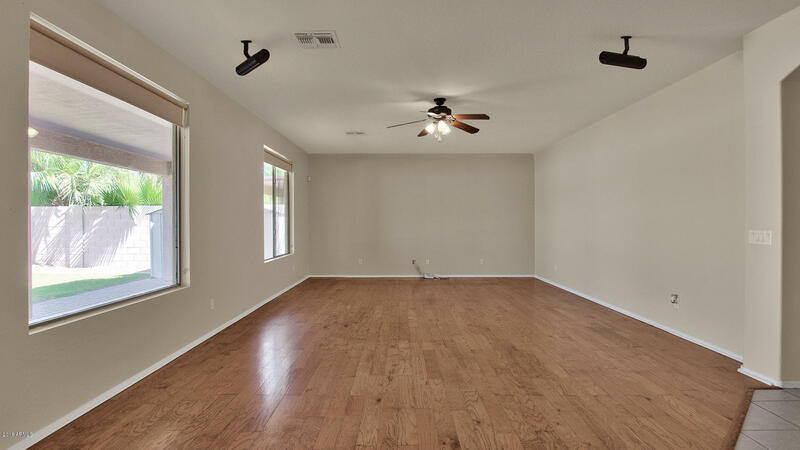 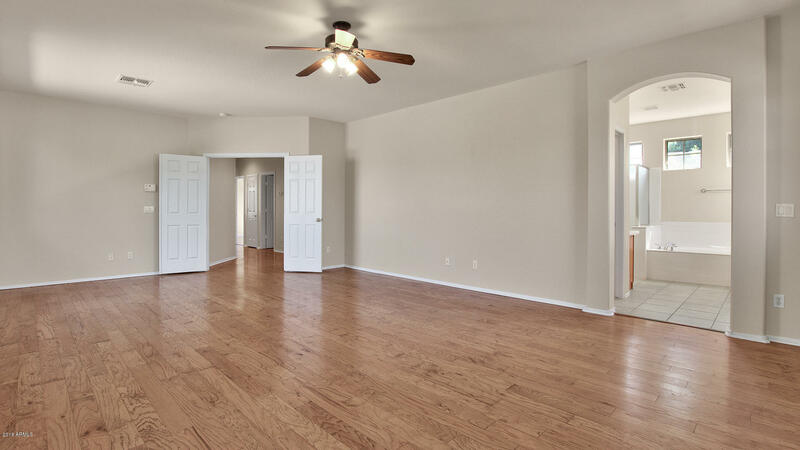 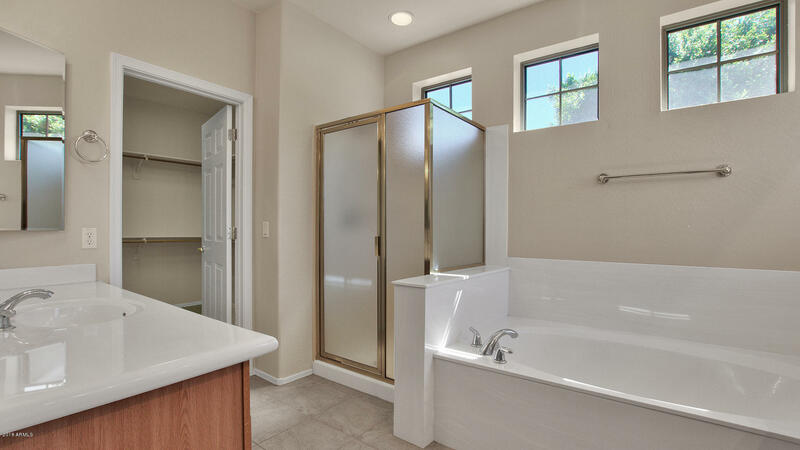 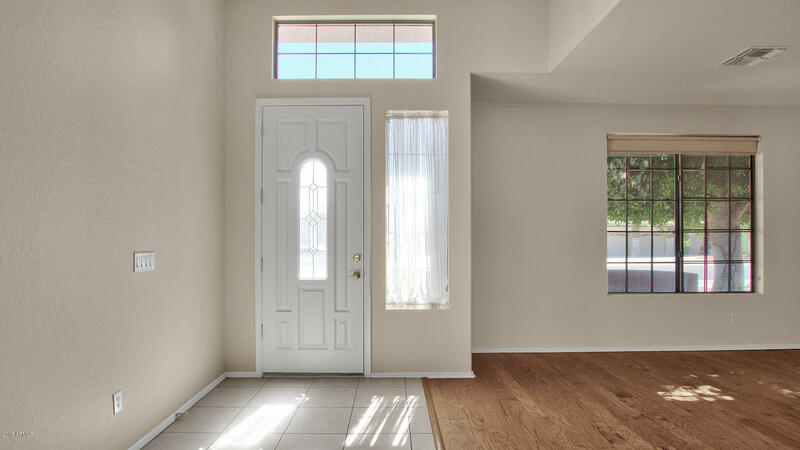 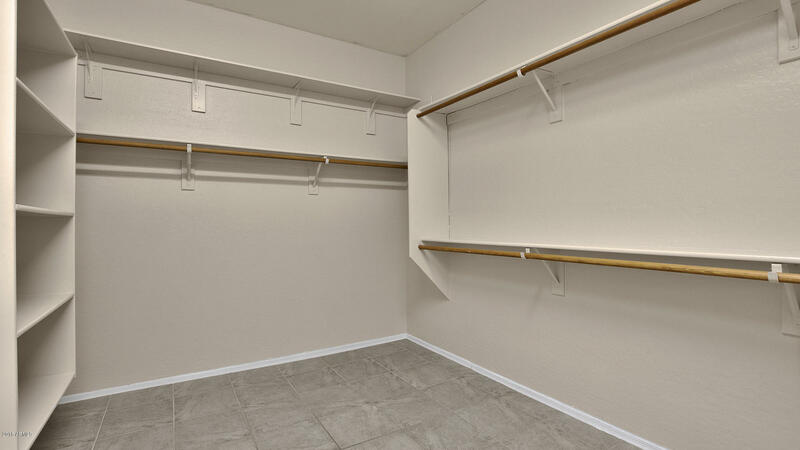 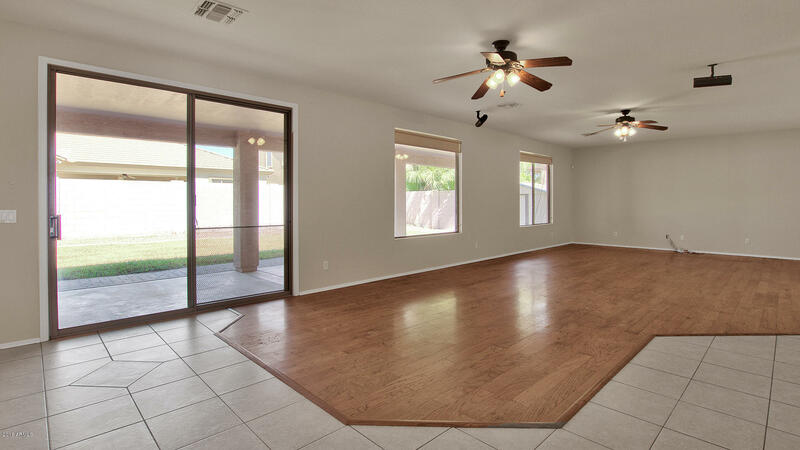 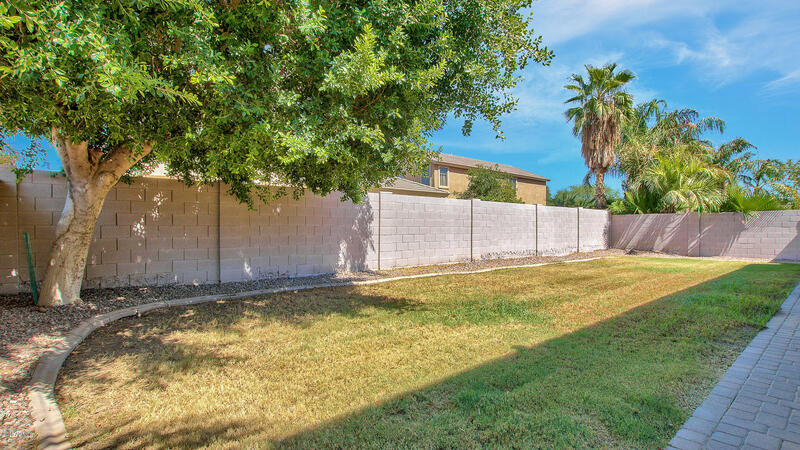 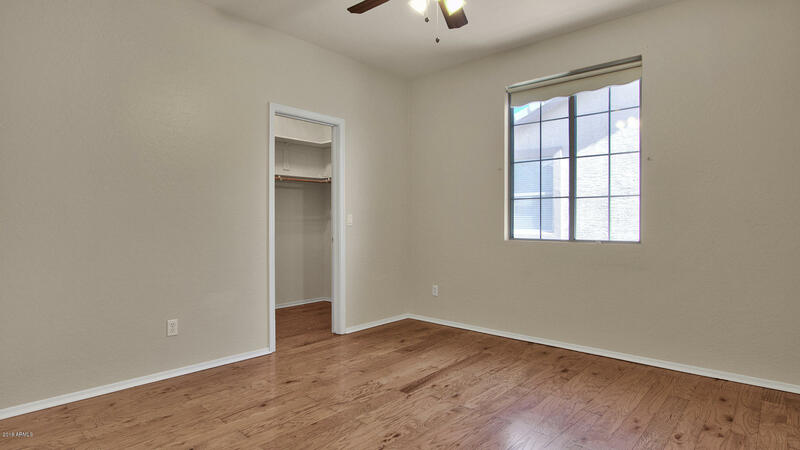 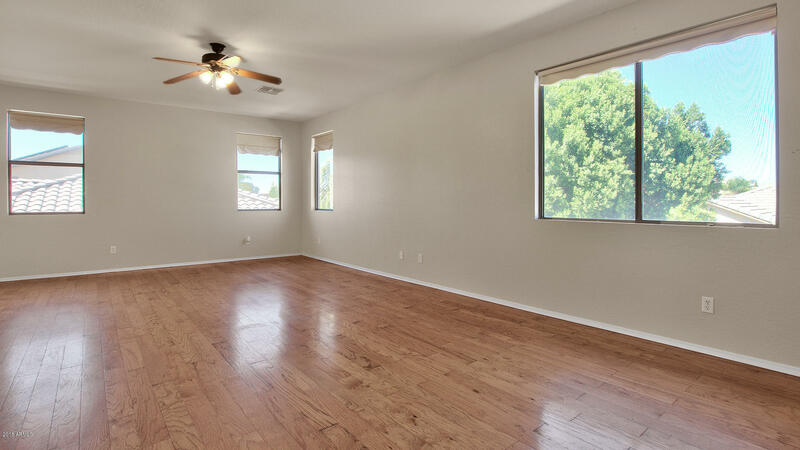 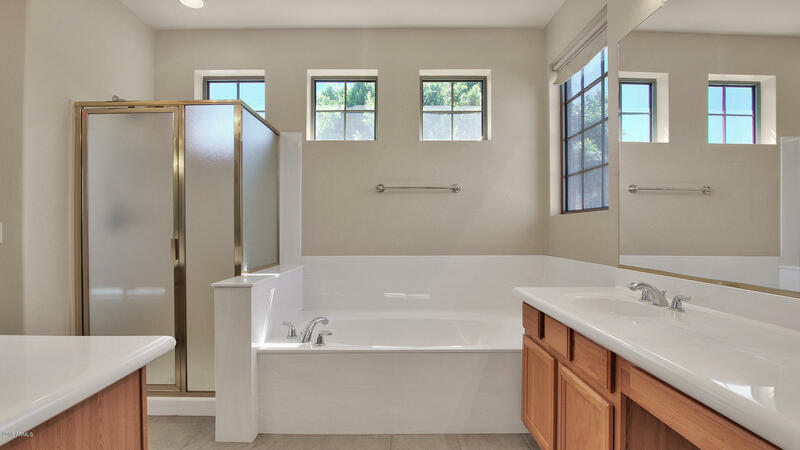 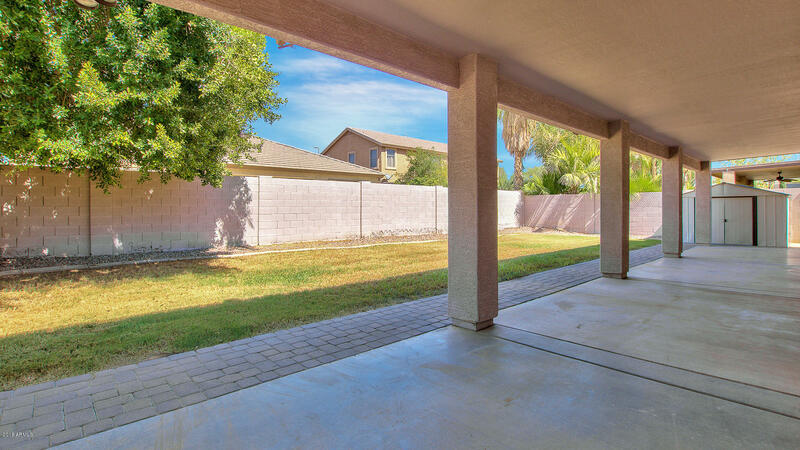 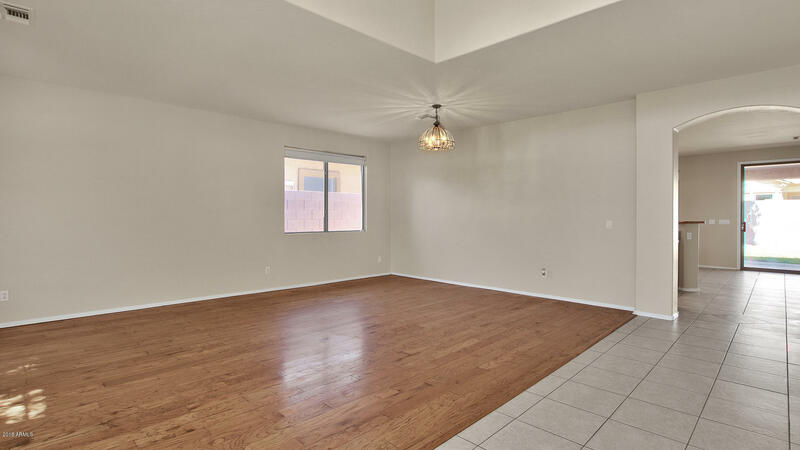 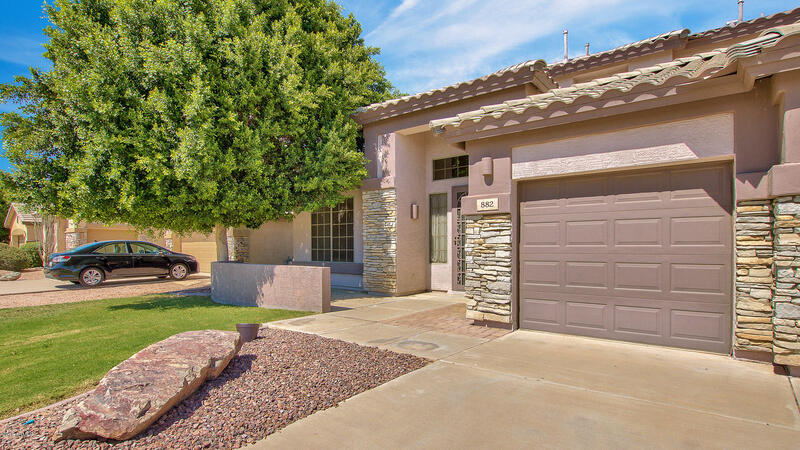 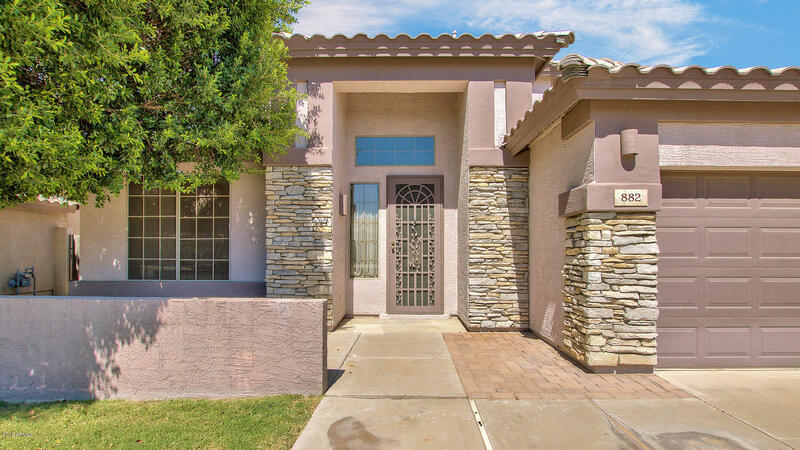 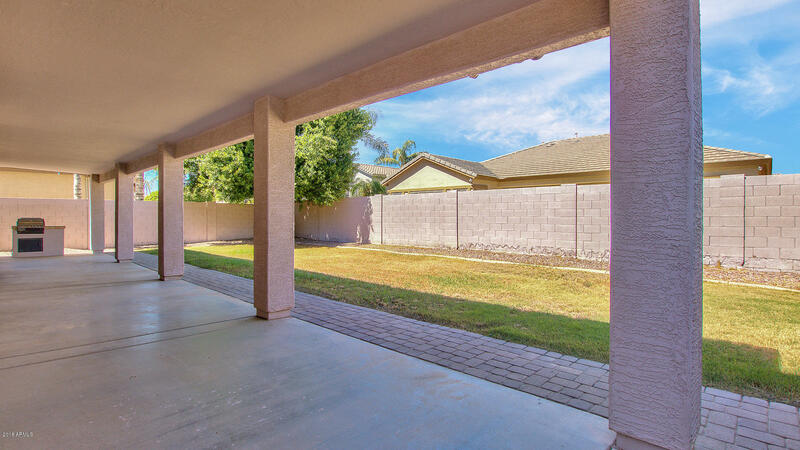 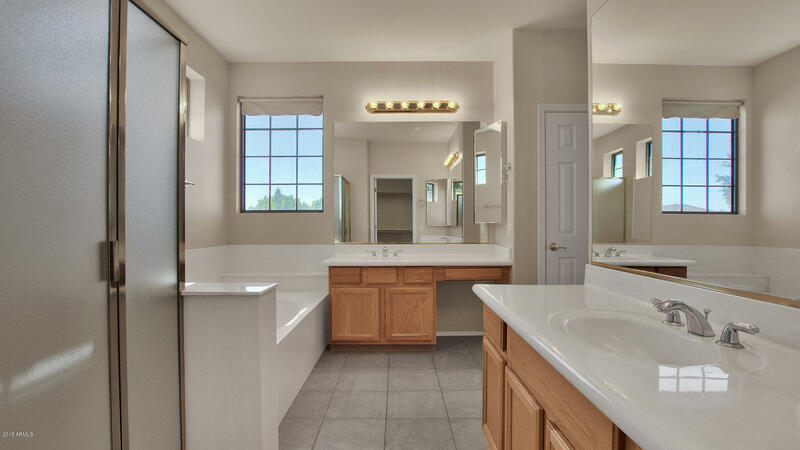 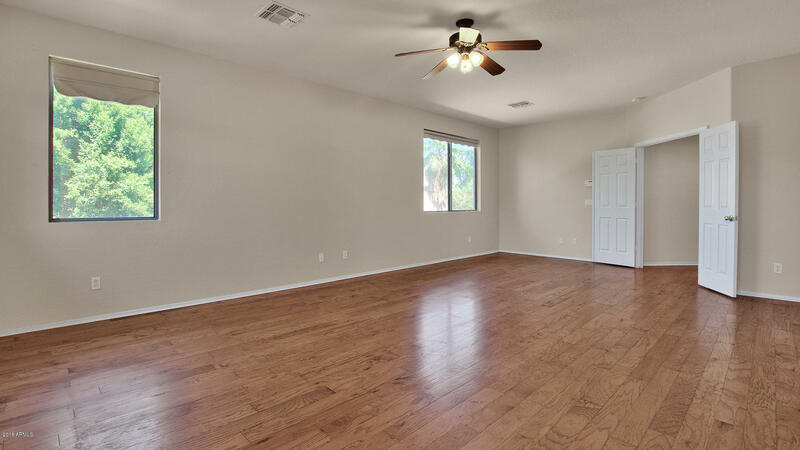 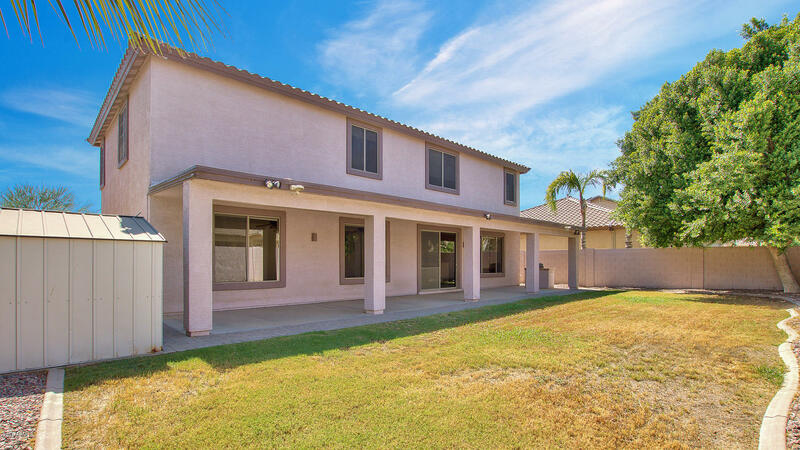 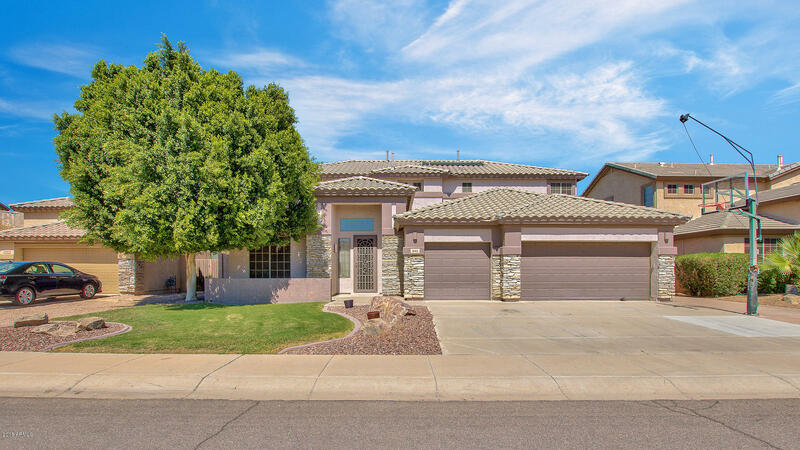 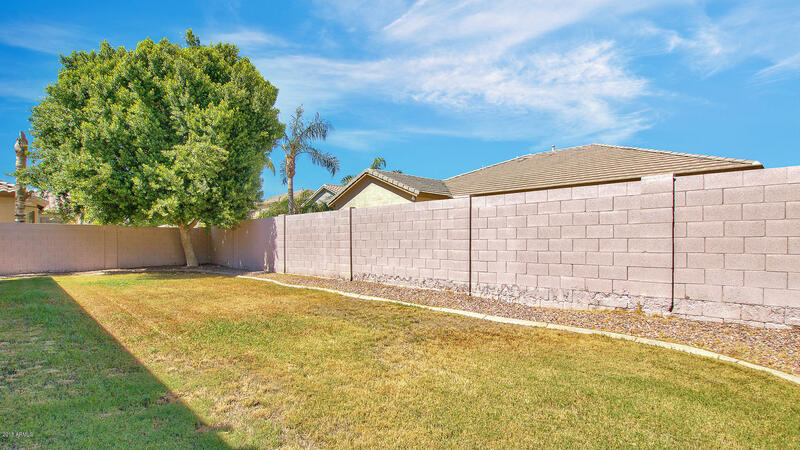 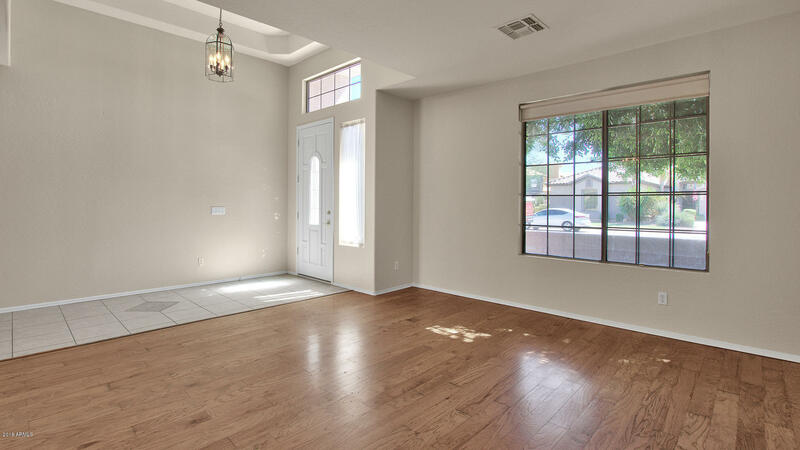 Centrally located in Gilbert, you're not going to find a better value or home!